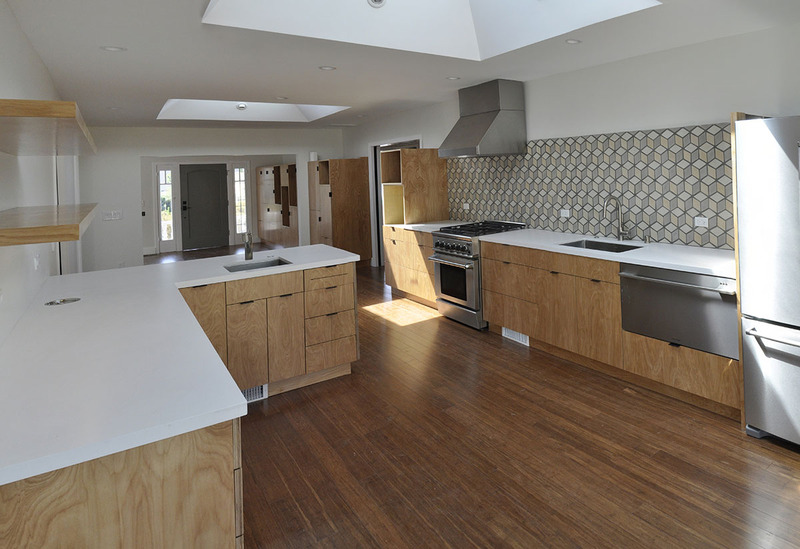 Parson Architecture: The Blog - Discover how great design can change your life. Typically, to build in a hillside area of Los Angeles such as this site, you need to hire a soils + geotechnical engineer to do exploratory digging and analyze the geology underlying your site. They prepare a special technical report, called a soils report, which must be approved by the City of L.A. Grading Department. This process costs thousands of dollars and can add weeks and weeks to the project timeline. Although the approval process is cumbersome and expensive, the soils report is very important for the structural engineer, who uses the data to ensure that the foundations are properly designed. In this particular case, the Grading Department waived the requirement for a soils report, subject to certain conditions. A very important one of their conditions stated that the foundations be set on undisturbed natural soil or competent bedrock. Thus, in order to more fully understand what this requirement means in our case, we mobilized a little crew last week at the site, and dug a test pit. Our goal was to find out the depth of the bedrock. I was a little nervous about this, as one geologist I had spoken with gave a high likelihood that the bedrock was 20′ – 25′ deep in this area – which would have made this small addition financially unfeasible and killed the project. My client and I discussed it and decided it was well worth spending some money on a test pit now, before starting demo. As things wrap up at Oxford Square, there are a few more elements of the project to be shared here. Completion of the patio and back yard is still pending, and it could still be several weeks before we have the whole place professionally photographed. Meanwhile, there is still a lot to be excited about here at The Blog! These are still just my non-professional snapshots, so please forgive the amateur awkwardness of some of the images. The guest bath tile got a little bit of a preview here. 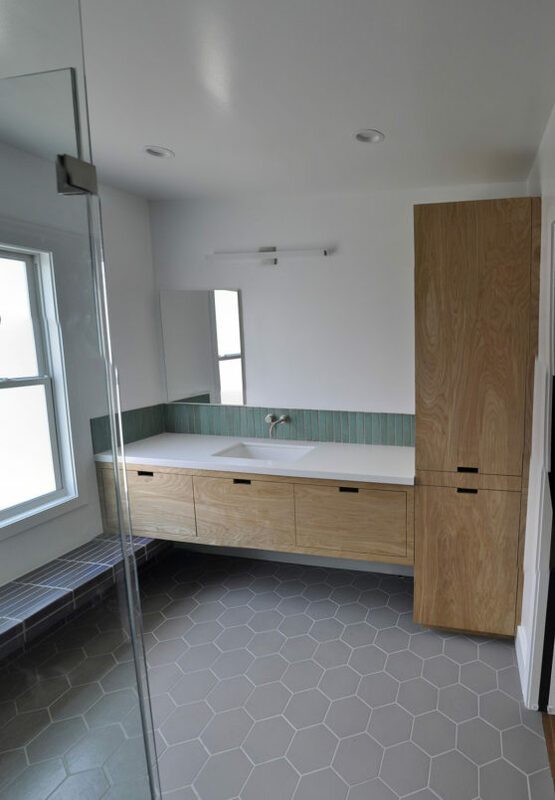 Prior to renovation, the guest bath was the one and only bath in the house.This week I want to look at the master bath, which was a completely new bath that we added to the house. The master bath has a simple horizontal vanity, anchored by a taller storage cupboard on the right, and a tiled bench running the length of the room on the left. In the photo below, there will be a large mirror mounted in the blank space between the medicine cabinet and tall wooden storage cabinet. I stopped by our Oxford Square project today and a lot of the beautiful finishes I hoped to get more pictures of were covered up for protection, as they finish up painting. 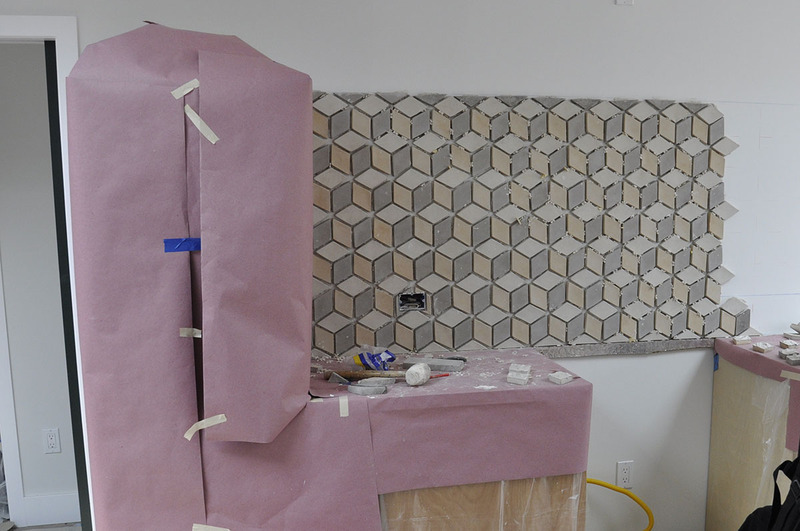 I was able to get a couple of shots of the installation of the kitchen tile backsplash though, and it’s pretty exciting. 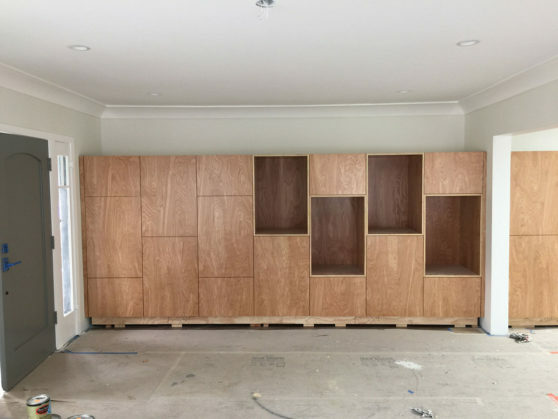 The beautiful birch cabinets are all covered up for protection. Soon to be unwrapped, though! Things are humming along over at our Oxford Square project, which is nearing completion. 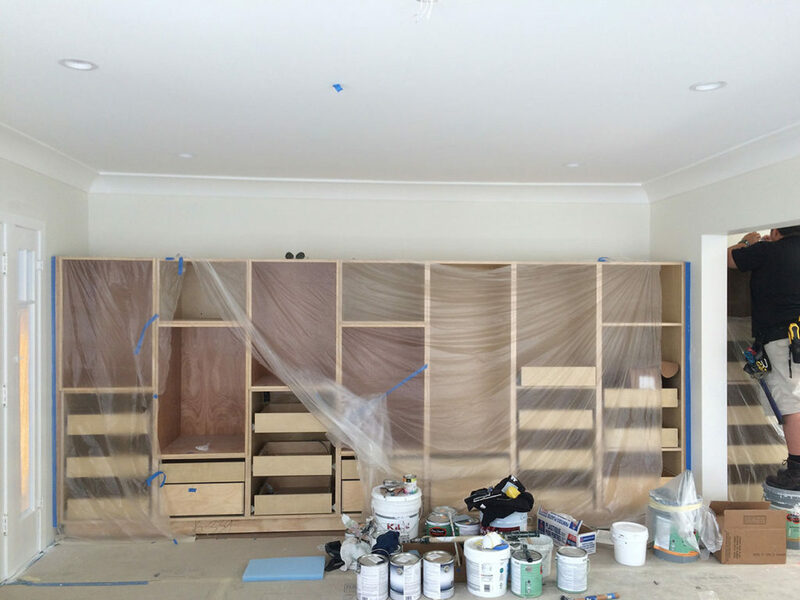 Last week, when I visited, they had begun installing the casework, but the doors and front panels weren’t on yet. We have an exciting project under construction right now, and if you follow us on Facebook, you might have seen a few photos that we’ve shared lately. 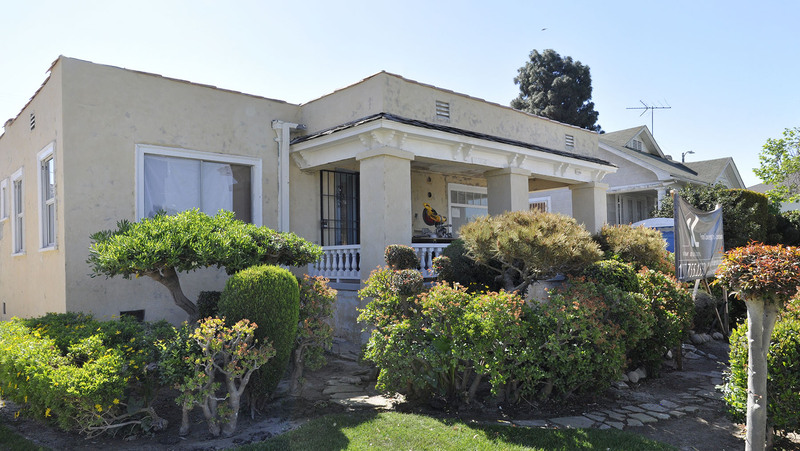 The project is in the Oxford Square neighborhood of Los Angeles, in an unassuming, boxy little one-story home from the 1920’s. Front of the Oxford Square house. Since we’re on a roll with discussions of Lautner in our Building of the Week series, we’re just going to keep on rolling. The other year when the MAK had their tour, after visiting the Harpel House (see last week’s BOTW installment) it seemed appropriate to walk up the street and have a nice view of the Chemosphere House. 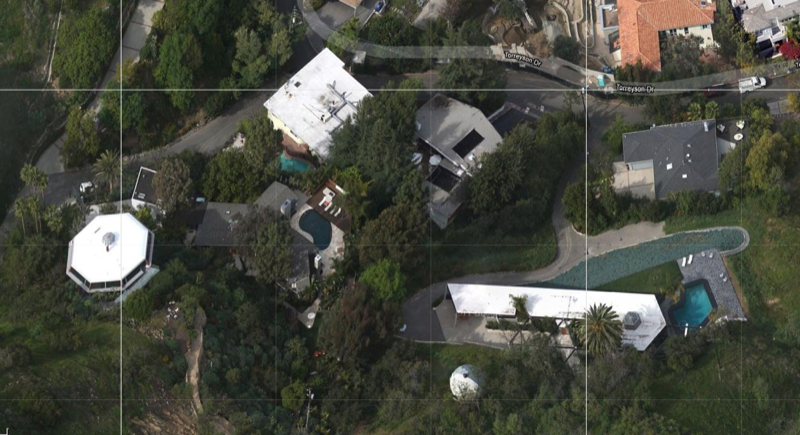 Here you can see them from Google Earth, with the hexagonally-based Harpel House appearing as the long white bar in the lower right, and the octagonal Chemosphere to the left. They continued to work on the building pad this week. 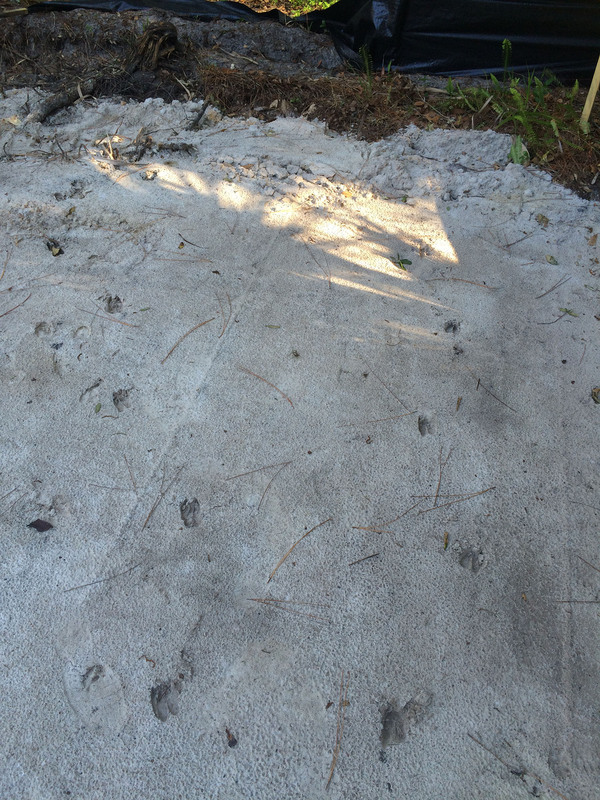 Apparently some of the local wildlife have re-emerged in the aftermath of the site-clearing activities. 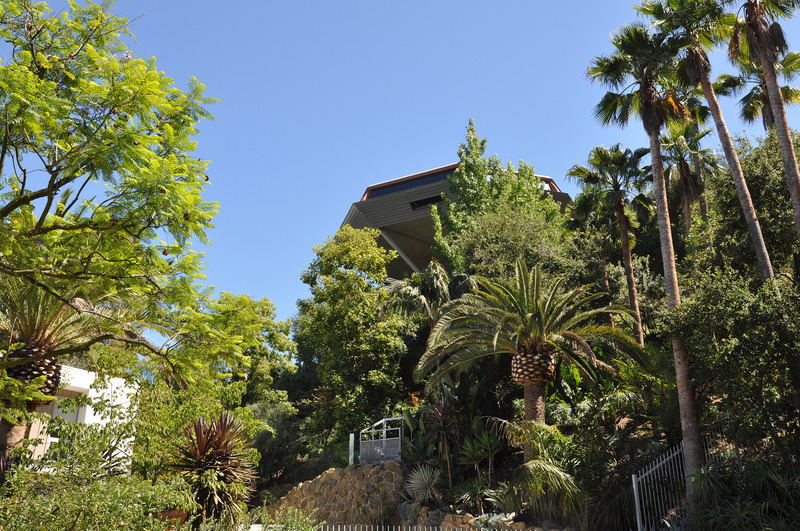 The next house in our series on John Lautner is the Harpel House. Nine years after the Jacobsen House, we can see that structure is clearly a major theme in John Lautner’s work. Harpel displays his ongoing interest in developing a fully integrated and expressed structural system, for each project, as an important architectural value. Now that the basic site clearing is done, there wasn’t a lot of dramatic change on site this week. They’re working on building up the pad for the house, and will hopefully start excavating for the footings soon.